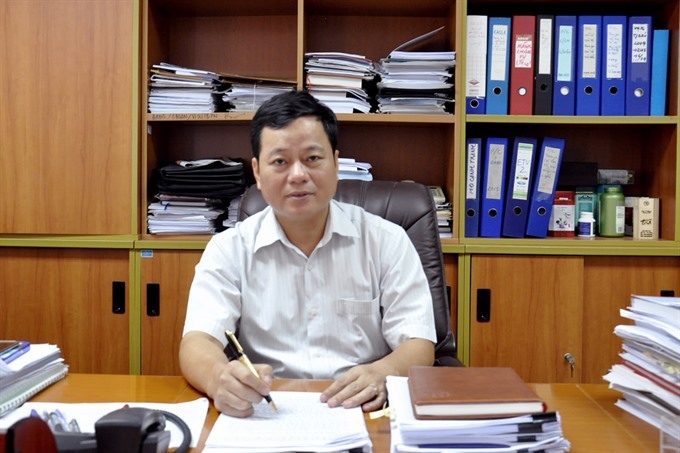 The finance ministry will build on the successes it has recorded last year in implementing a Resolution on improving the business improvement, Ngô Hữu Lợi, head of its Legal Department, tells the Vietnam News Agency. What are general results of the Finance Ministry implementing Resolution 19/2016/NQ-CP last year? The Government renews the Resolution every year to continue to improve the business environment and raise national competitiveness, especially through tax and customs reforms. In 2016, the finance ministry achieved many practical results in implementing the Resolution. First, online tax declarations, payments and refunds continued to accelerate, helping reduce tax payment period from 537 hours to 117 hours. By the end of the year, the online tax declaration system was adopted by 63 tax departments and all their sub-departments. About 573,700 enterprises used online tax declarations, accounting for 99.85 per cent of the total enterprises in Việt Nam. The financial sector co-ordinated with 43 commercial banks to complete online tax payment connections, and by the end of the year, about 562,000 enterprises had registered to use them, accounting for 97.98 per cent of the total enterprises in the nation. For online tax refunds, the ministry issued Decision 2790/QĐ-BTC on December 27, 2016 to pilot online payment and refund of value added tax. These will be be implemented in Hà Nội and Hải Phòng City. The ministry also modernised the customs system further by providing online public services and completing online customs clearance systems, including the Việt Nam Automated Cargo Clearance System and Việt Nam Customs Intelligence Information System (VNACSS/VCIS). These sharply reduced the time taken to complete customs clearance procedures for import goods. The Customs Office has thus far provided 181 online public services, including 168 related to administrative procedures. Regarding the national one-door mechanism, the financial sector has connected with 11 ministries on 37 administrative procedures. All these results have boosted the ministry’s admin reform process and contributed to improving national competitiveness. The World Bank’s report on the ease of doing business in Việt Nam says the tax payment criteria improved 11 places and cross-border trading went up 15 places to push the “ease of doing business” index in Việt Nam by nine points. Meanwhile, the finance ministry’s public administrative reform index (PAR Index) held on to the second position in the country. What were the steps that the ministry took to simplify administrative procedures and reduce tax payment as well as cross-border trade transaction periods? Just 14 days after the Government issued Resolution 19, the ministry issued Decision 328/QĐ-BTC on February 20, 2017 to unveil its action plan on implementing it. For this year, the ministry’s action plan covers 87 solutions and 175 tasks with specific offices assigned the responsibility of implementing them. In the Customs field, 36 solutions with 57 specific tasks have been identified to complete the legal system, national one-door mechanism and the ASEAN one-door mechanism, as also improve the efficiency of specialised inspections. In the tax arena, 20 solutions with 31 specific tasks were set to complete institutional measures and policies to facilitate enterprise growth. Those solutions will also involve amendments and supplement to procedures directly related to tax payment. For other financial fields, including public debt, securities market and insurance, a total of 31 solutions with 87 specific tasks were identified. Implementing this Resolution calls for synchronous action by several ministries, sectors and localities. How did the ministry co-ordinate this? The ministry has collaborated with 11 ministries in implementing 37 administrative procedures. It has proposed to the ministries and sectors that more administrative procedures are placed under this co-ordinating mechanism. Specialised inspections are very importance and account for 72 per cent of time taken for customs clearance. To reduce this time, the finance ministry has actively co-operated with other ministries to propose that the Government approves a plan with measures to improve the efficiency of specialised inspections for import and export goods. The ministry will propose that other ministries amend 87 legal documents related to specialised inspections. It will establish more implementation points for specialised inspections so as to create more favourable conditions for import and export activities. So far, there are 10 such points at eight customs departments in many provinces and cities.